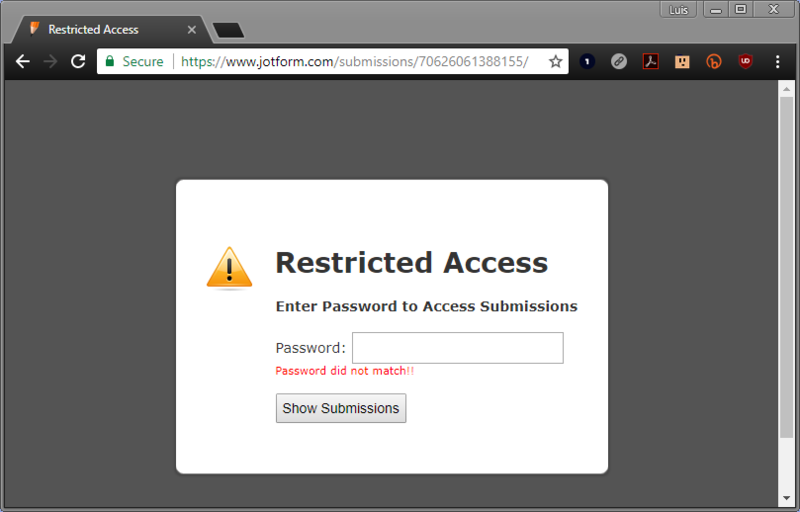 How do we setup a password for users without jotform accounts to view submissions? I've attached a screenshot of the box that appears when another users tries to view submissions via a link. You can set the password when you turn on the option to make the submissions page public. 3. A password prompt will appear. Set a password and copy the share link.